In the largest such study undertaken to date, research led by Keele University suggests that patients with cancer who undergo a common heart procedure have worse short-term clinical outcomes compared to non-cancer patients, . The study, published today in the European Heart Journal, looked at 6.6 million hospital admissions in the USA over an 11-year period, in which the admitted patient underwent a percutaneous coronary intervention (PCI) procedure. PCI is the most common interventional treatment undertaken in patients with coronary heart disease, and is a procedure in which a stent is used to open up narrowed or blocked blood vessels in the heart, both as a planned procedure or in the emergency heart attack setting. Approximately 10 percent of the patients who underwent a PCI procedure during the 11-year period had either a current or historical cancer diagnosis. The study specifically looked at the impact on patients with a diagnosis of prostate, breast, colon or lung cancer, as these were the most prevalent in the dataset. The study found that patients with a current diagnosis of lung cancer were three times more likely to die in hospital following a PCI procedure compared to patients with no cancer. 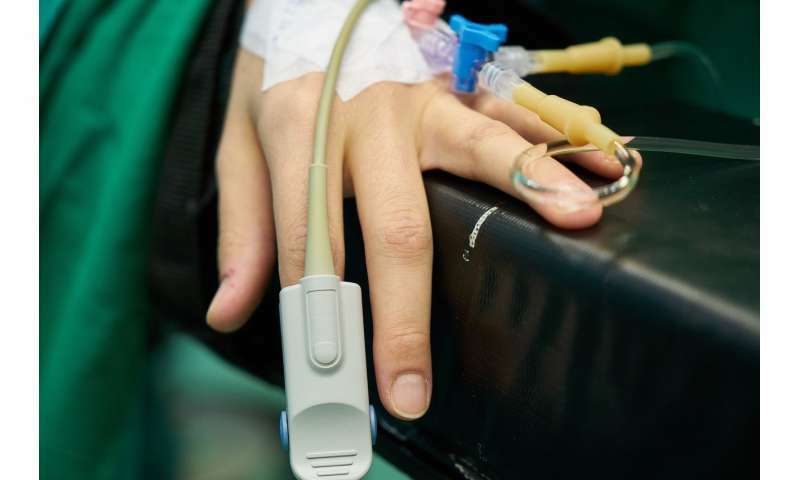 Colon cancer had the greatest association with major bleeding complications post-PCI, with a threefold increase compared to patients with no cancer. Patients with metastatic cancer, irrespective of cancer type, were found to have poorer outcomes following a PCI, and were at increased risk of dying in hospital, and suffering PCI complications, including major bleeding events. Professor Mamas Mamas, Professor of Cardiology at Keele University who led the study, said, "Our research found that a concurrent cancer diagnosis during these procedures is not uncommon, and it has an important impact on the clinical outcomes of these procedures, depending on the type of cancer, presence of metastases, and whether the diagnosis is historical or current. "This research is important because there is limited data regarding outcomes of patients undergoing PCI with a current or historical diagnosis of cancer. Such patients are often excluded from randomised controlled trials, and cancer history is not captured in national PCI registries. Clinicians are often unsure what the risks of these procedures are in these patients, and how best the procedures should be undertaken." Dr. Jessica Potts, Research Associate at Keele University and co-author of the study, said, "Our recommendation is that treatment of patients with a cancer diagnosis should be individualised, recognising that cancer is associated with a higher risk of complications, and should involve a close collaboration between cardiologists and oncologists."